In the chilling, grim world of Earth-43, undead, nearly invincible monsters stalk the night, driven by insatiable bloodlust, looking for new victims. And these are the heroes! 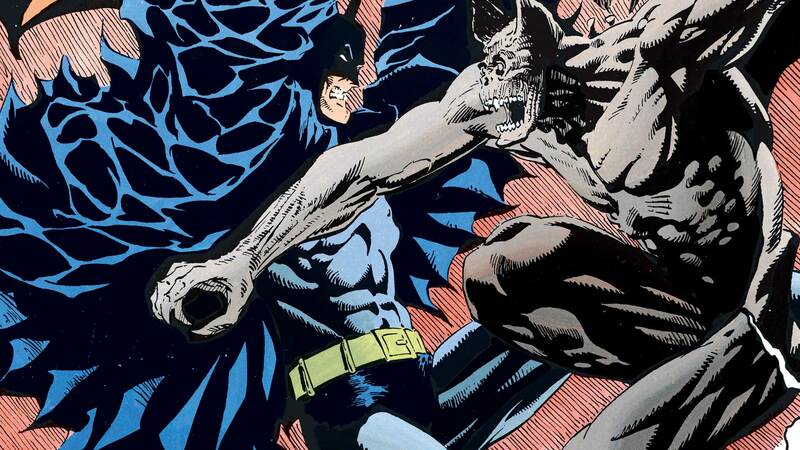 Batman was the first to fall victim to the vampire curse, having initially sought out demonic powers in order to fight off a threat to Gotham from Dracula himself. After Bruce Wayne succumbed fully to the dark curse, the world of Earth-43 was plunged into a full-scale bloodsucker outbreak, watching as its greatest heroes succumbed to the scourge. The once-noble Justice League transformed into the twisted Blood League, losing all traces of its humanity. The League’s membership includes nearly unrecognizable vampiric variations of Batman, Ultraman, Green Lantern and others. They’re powerful and endlessly thirsty. In fact, the only hope for anyone they’ve chosen to target may be that their undead state has brought with it new weaknesses. Vampire Green Lantern cannot withstand contact with yellow sunlight, while Vampire Ultraman must avoid red sunlight at all costs. So greedy is the terrifying Blood League for fresh corpses, they have waged an ongoing campaign against the planet Rann, home base of the interplanetary hero Adam Strange. The discovery of alternate universes, chock full of potential new victims, would certainly capture the League’s attention. The Terrifics…terminated! The team has called it quits and gone their separate ways—with less-than-terrific results. Batman and his team battle Nightmare Batman. Later, the Monitor arrives on the Gaslight world to investigate the Earth Engine. STARRING HEROES FROM CRISIS ON INFINITE EARTHS! Diana Prince is in the grip of a Domesday cult when Steve Trevor leaps into the fray! Continued from the pages of the bestselling DARK NIGHTS: METAL! STARRING HEROES FROM CRISIS ON INFINITE EARTHS! Diana Prince gets blood on her jumpsuit as she takes on vampire versions of The Joker and the rest of the Red Rain ghouls!